Too quiet here today; everyone must be out stuck in traffic going to the beach or something. Or in my case stuck working the evening shift. 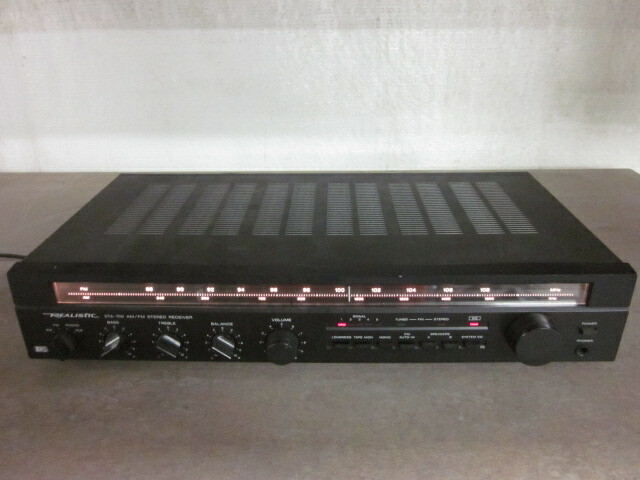 Not to derail your thread but I was researching the Marantz TT-15S1 turntable on some other sites and I saw you on there and that you have (or had) this table. What did you think? I'm looking at one of these tables. You can PM me on this if you have the time and prefer to do that. Thanks. Sorry again to derail your thread. The TT-15S1 is essentially a tweaked Clearaudio Emotion with a CA Satisfy arm with ebony wand and a CA Virtuoso Ebony MM cartridge. Looks nice (my young adult kids like its cosmetics), decent arm, well made in general but supplied with a mediocre cartridge. Mine's now in the basement as I have moved along to a classic low-compliance LOMC cartridge which is (at the moment) slumming in a dump find Technics DD tt. 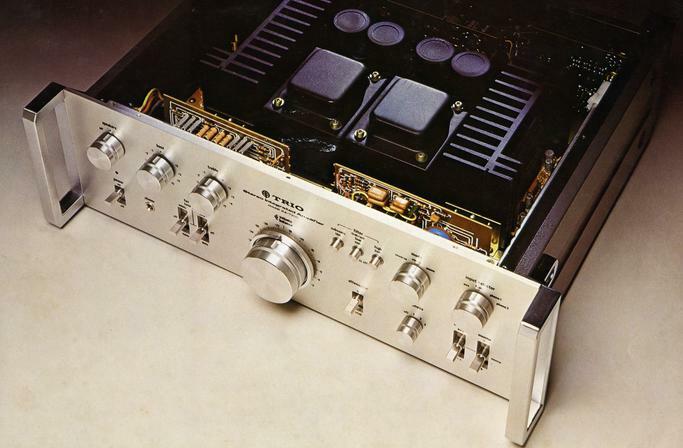 That said, the Marantz is a pretty good value in terms of price/performance for modern tts - nothing close to "high end", but not a toy/junk (as are most of the current production tts priced at less than $1k, if'n you were to ask me...). If you get one, get a better cartridge for it! I am debating making a custom top out of some real wood for it.... any suggestions? 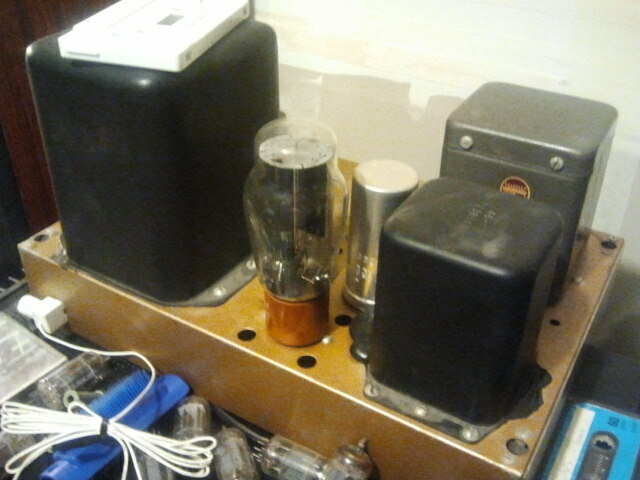 My first stereo system was a Knight kit with some DIY speakers, circa 1969! Well, since we can't derail the thread maybe we can make is cheaper? Some stock pics of what I've been messing with this evening. Have put a Realistic STA 700 in place as my computer amp and FM with a pair of Miniimus 7s (I used before on a Kenwood). As some of you may know the STA 700 is merely a slightly newer version of the System 7 which was designed with EQ specifically for Minimus speakers. I know, I almost said "equalization", excuse me! But this actually works with these speakers. Sounds very nice and clean in a tight space. Definitely low end, but pleasing to the ear for background listening. Thanks a bunch for the info! I've got a Soundsmith modded Dynavector 20XH that I bet would sound good on that table. I've found a good deal on one so I'm trying to decide wether to pull the trigger on it. 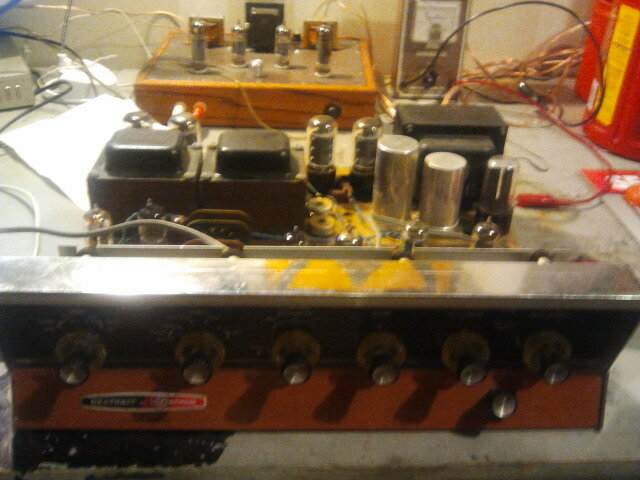 Now back to the vintage stuff. Your work is excellent!! !, I'll be picking up my Lafayette LA-224A from the shop soon. Here's some nudies of mine. 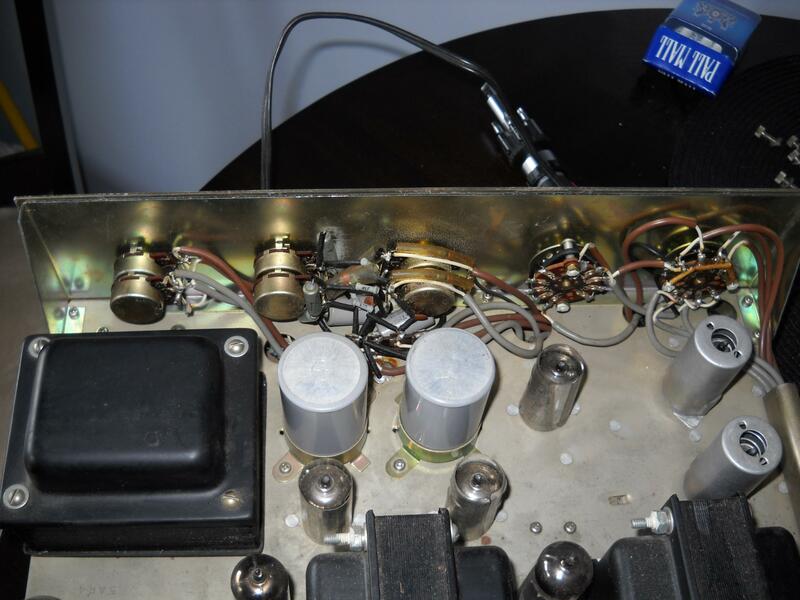 I like the l'il R/S receiver that cnh posted... R/S made a few low-profile black receivers over the years more or less specifically meant to be paired with the little die-cast Minimus-7 speakers. Oh, cnh said that already, didn't he? 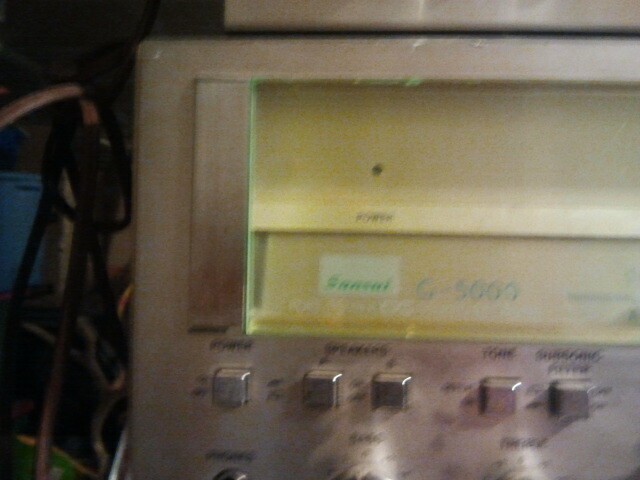 Criterion (sold by Lafayette Radio Electronics), eh? Man you all are making me feel old I remember some of that stuff. ... and some of us don't just feel old! 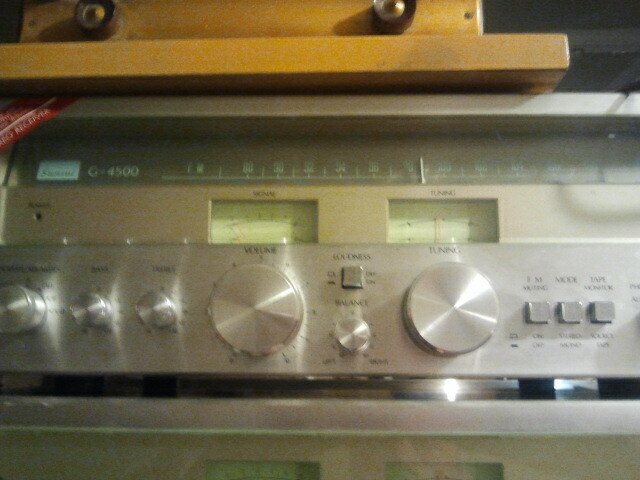 You can't help but notice the 4-channel units above and I remember, what was it called? 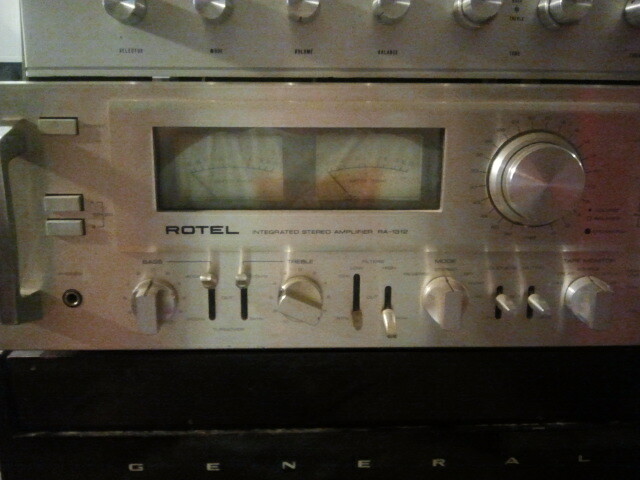 Quadraphonic sound and Receivers...'70s, right? It was so "cool". 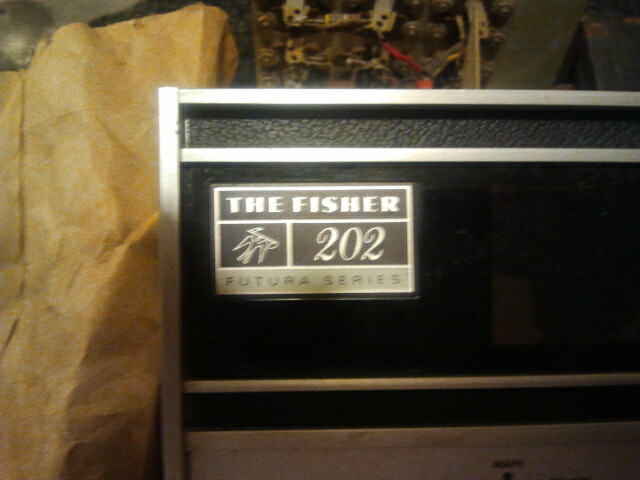 Never had one but it was the "future"! 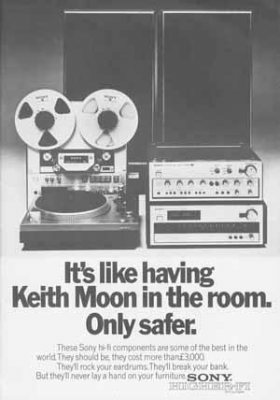 There were even Quad phono cartridges and LPs if I remember correctly. Whatever happened to Quad sound? Because by the late '70s it was gone! I know, I know, one can argue that Dolby surround followed and then Dolby Pro-logic, but there was definitely a big gap between their appearance and the disappearance of the Quad. 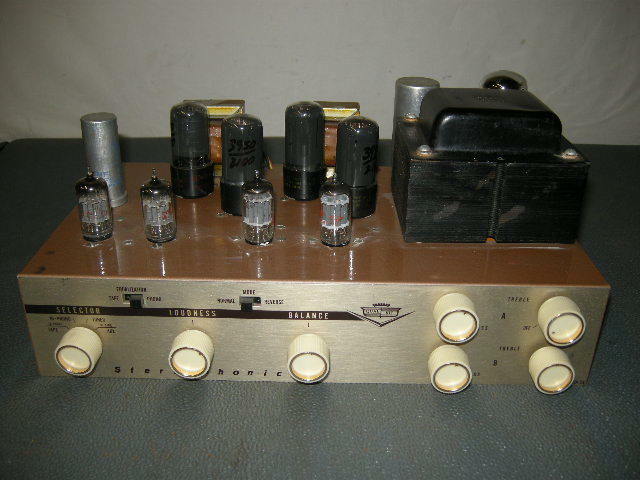 And strangely, Quad receivers don't seem to command the value of the classic stereo silver face from around the same time? 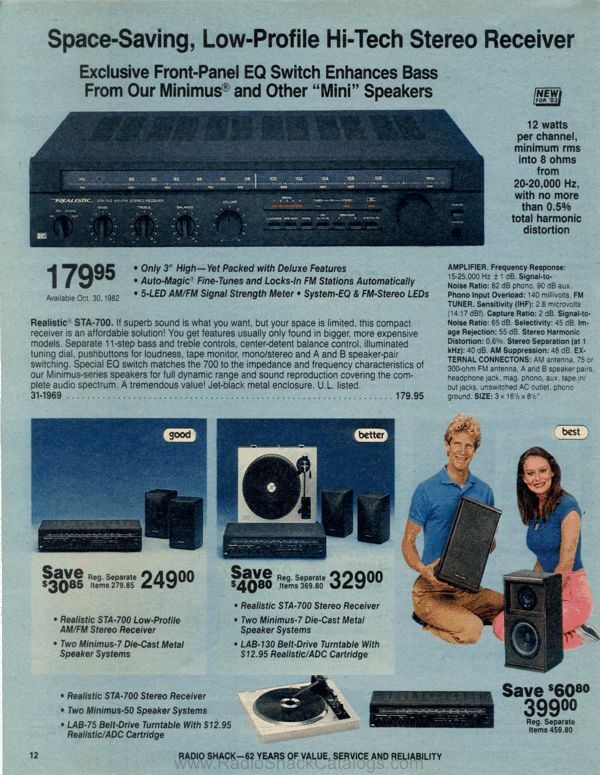 Radio Shack had a series of receivers with the QTA instead of STA prefix for Quad. On another note. 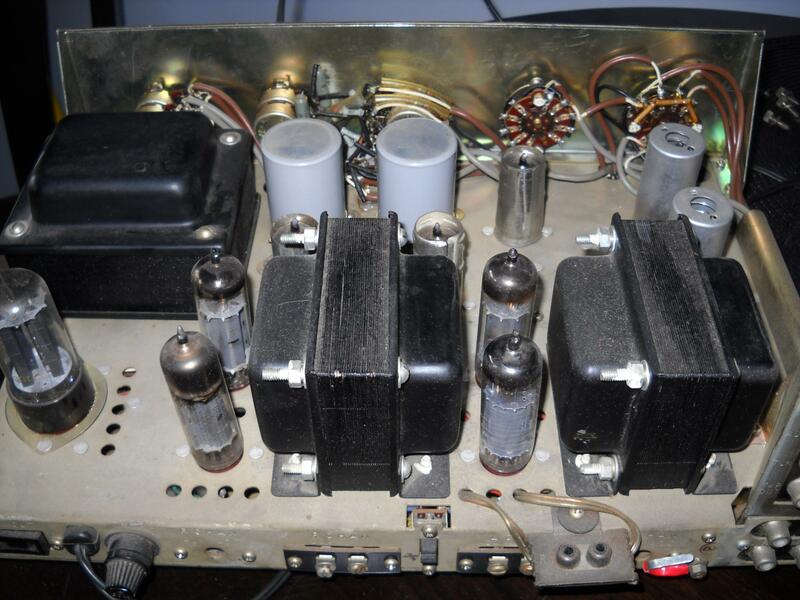 Did anyone here ever put together one of those Heathkits? 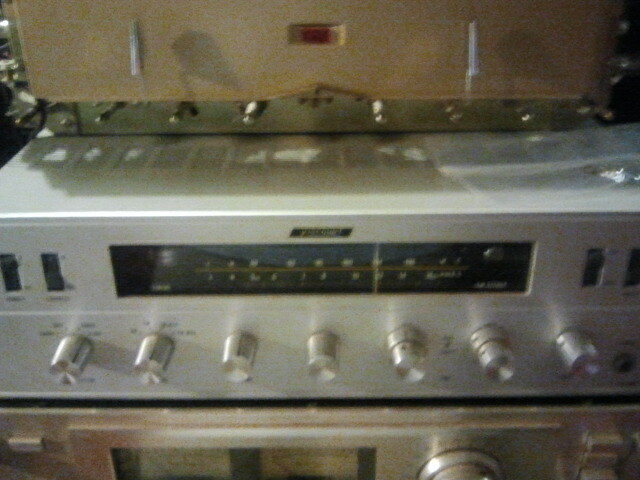 Sansui Qs-1 or a Lafayette something -44 count? I have those in the closet and have never plugged them in. Don't know the Lafayette. 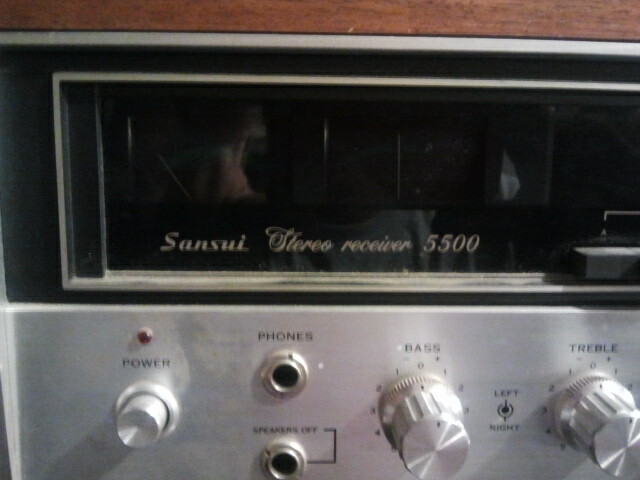 But the Sansui definitely counts! Nice looking piece too with several "effects". There was some lafayette on my local CL, heard it was decently well-made, keep the posts coming! Yep that's the one. It is in pretty darn good shape as well. The Lafayette is in a previous picture I think and its a bit rougher but not unsightly at all. 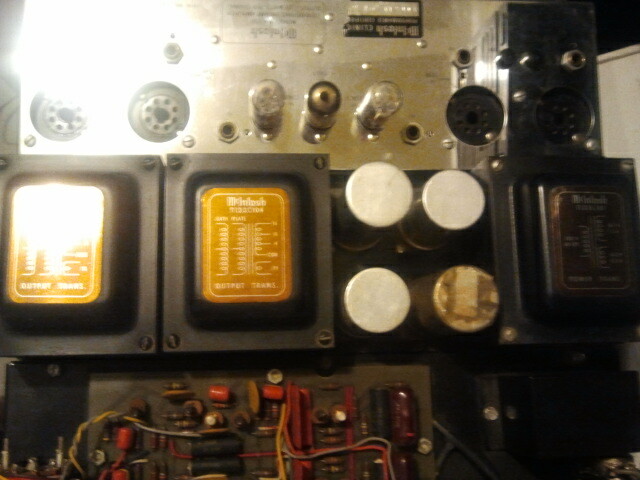 I am missing the slide knob between the two big big knobs under the meters Maybe I need to plug stuff together and see how they sound. As it is right now I am at a shortage of speakers I am willing to sacrifice. Might need to hit good will later today. Here's a combo I picked up a while back. 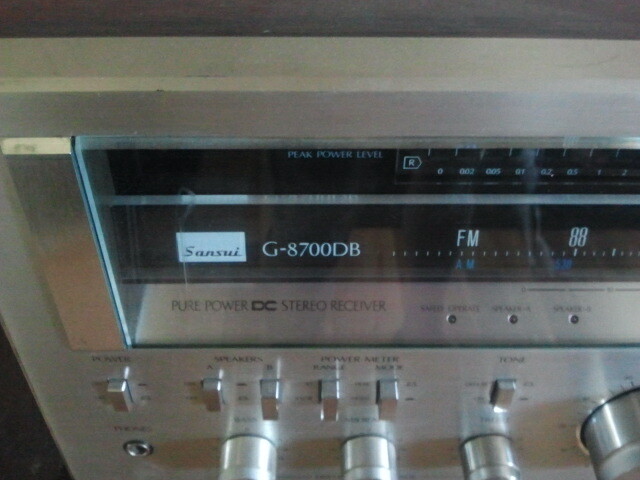 Kenwood Dual Power integrated with matching tuner. 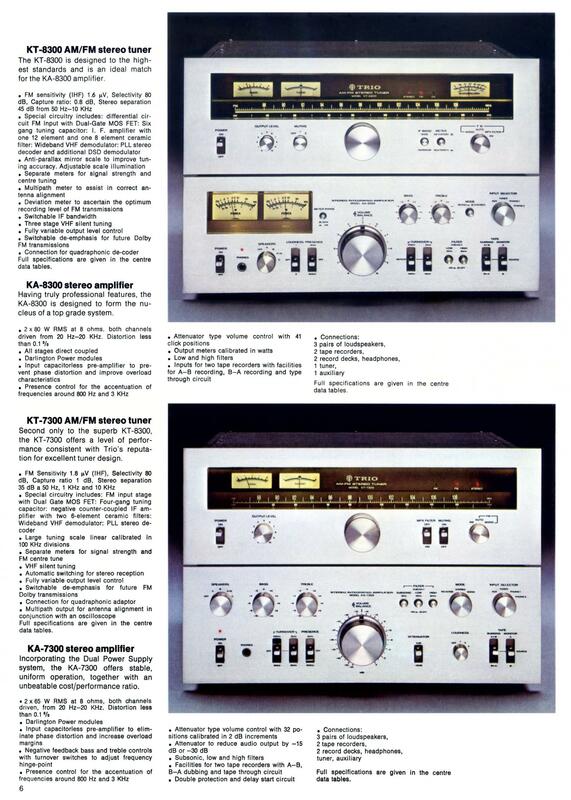 KA-7300 amp, KT-7300 tuner (next slide). And the Ad with the higher model 8300 above it! 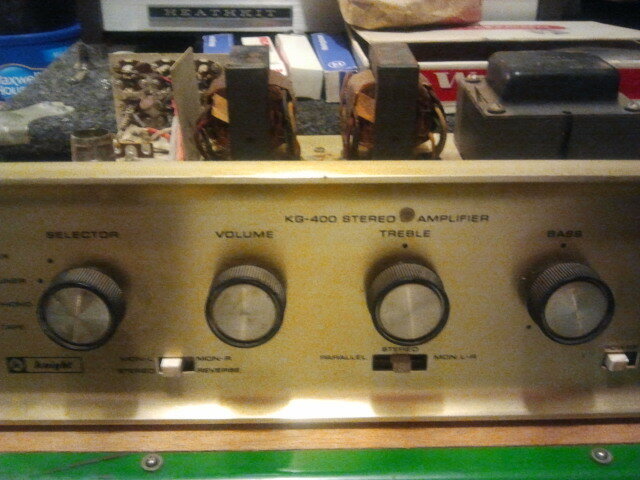 There's an RP-100 downstairs, someplace, too... but I've never taken a photograph of it?! No way you're going to be allowed to open up the Goody Bag and then put it back in the pantry before we've all had our fill !! 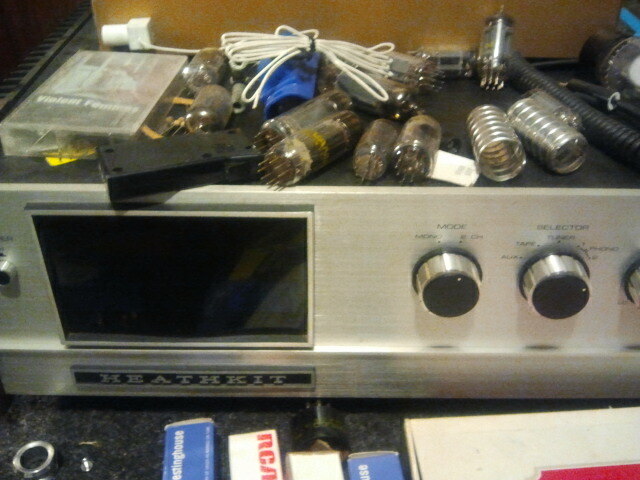 Allied, Eico, .... we're talking vintage stuff that was vintage when I was young. Way cool ! Both have been recently re-habbed and work well (if not necessarily at 100%... yet).